‘I was inspired by looking at the workshops, looking at the people working, using the melted material,’ explains nendo‘s oki sato. 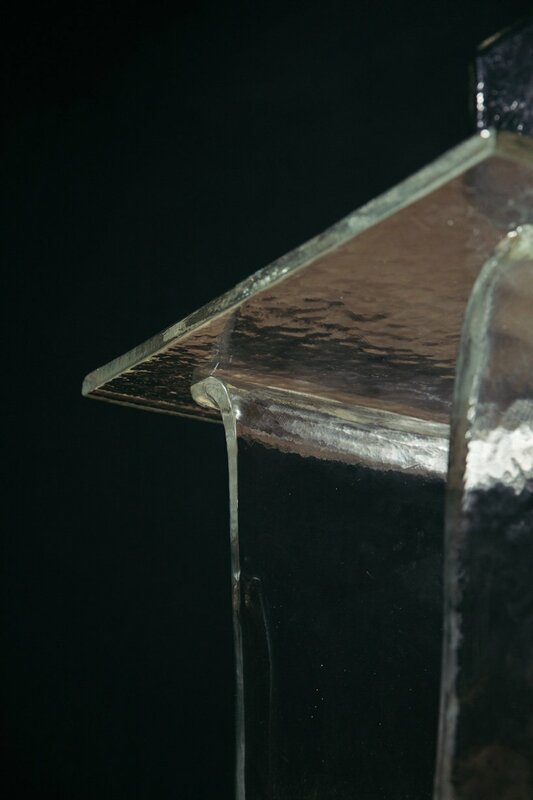 ‘the main idea was to let the glass flow by itself using gravity and using the weight of glass itself. in a way, doing less and achieving more is the most complicated thing to do’. 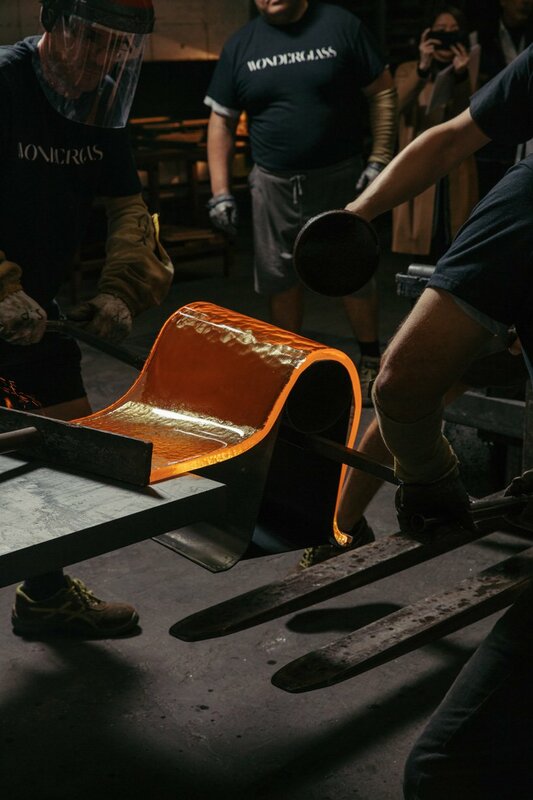 while observing craftspeople in the wonderglass workshops, the designer decided to let the material direct the creative process, resulting in a method of laying hot glass sheets over steel pipes, and suspended between steel bars to allow the natural drape of the material to reveal its form. 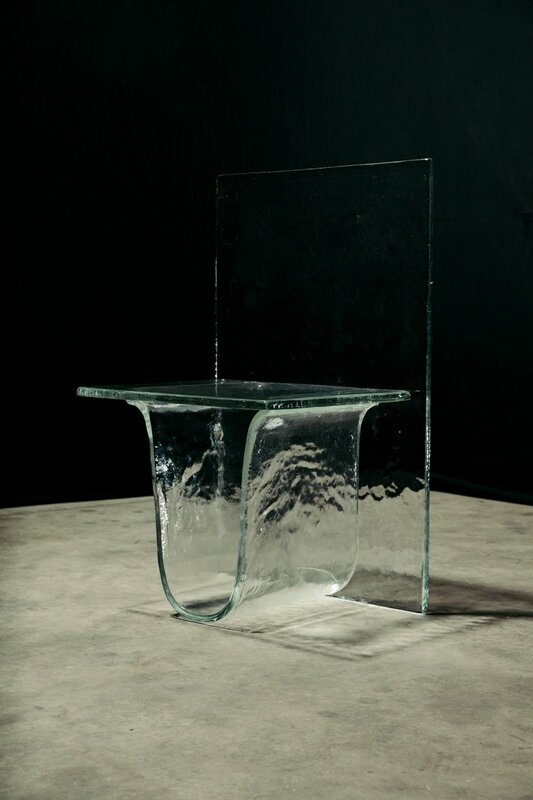 ‘we are delighted to have collaborated with nendo on the melt collection, working together to push the boundaries and capabilities of cast glass,’ note wonderglass founders maurizio and christian mussati. ‘nendo has explored the molten liquid nature of the material with incredible skill for melt. together with our master craftsmen in venice, they have created a beautiful collection of furniture that focuses on simplicity and the form created by the flow of gravity.’ the collection will be presented in an exhibition celebrating nendo as AW architektur & wohnen magazine’s 2019 designer of the year. 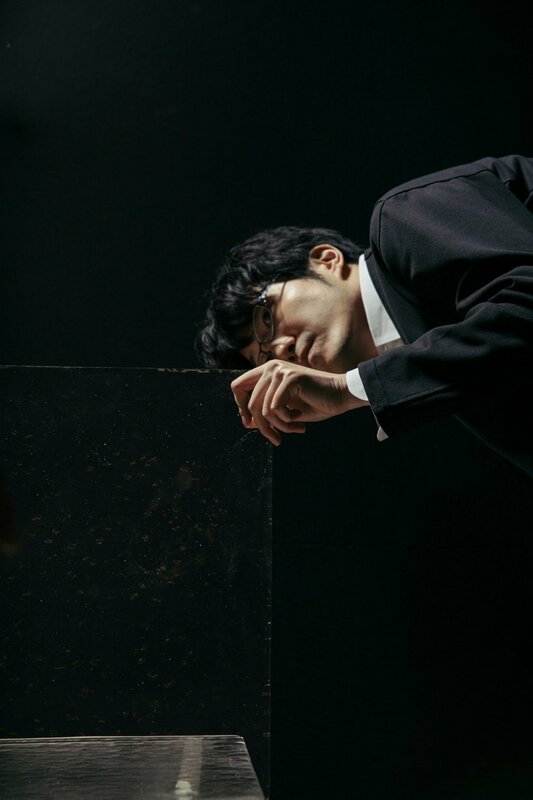 it will be held across 14 to 17 january at 25hours hotel the circle in cologne, and will include the furniture and table top collection curated by oki sato accompanied by a photographic exhibition.